U.S. President Barack Obama said he was "deeply saddened" by news that an American service member walked out of a base in southern Afghanistan before dawn Sunday and started shooting Afghan civilians. Obama said the shooting did not reflect U.S. respect for the Afghan people. "This incident is tragic and shocking and does not represent the exceptional character of our military and the respect that the United States has for the people of Afghanistan," he said in a statement released Sunday afternoon. 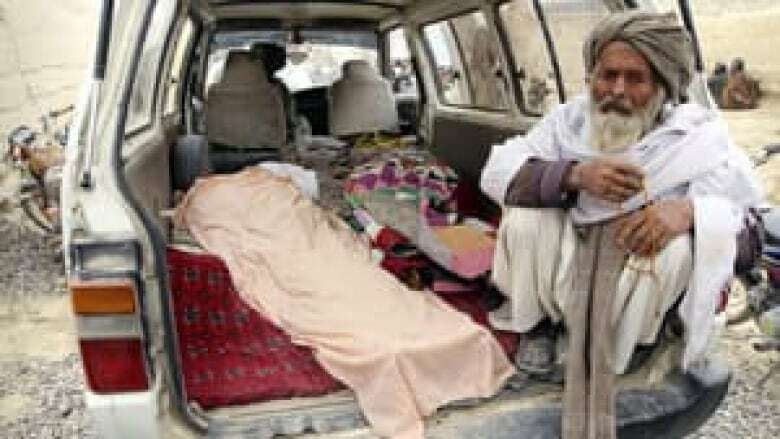 Afghan President Hamid Karzai said 16 civilians were killed, and that the dead included three women and nine children. He called the attack "an assassination" and demanded an explanation from the United States. His comments came after villagers showed an Associated Press photographer 15 bodies, including women and children, and said they were all killed by the American. Obama phoned Karzai to express his shock and sadness at the killing and wounding of Afghan civilians. He offered condolences to the families of those killed and to the people of Afghanistan. In a statement released by the White House, Obama called the attack "tragic and shocking" and not representative of "the exceptional character of our military and the respect that the United States has for the people of Afghanistan." Obama also assured the Afghan president of his commitment "to establish the facts as quickly as possible and to hold fully accountable anyone responsible." The shootings are expected to deepen strife between U.S. forces and their Afghan hosts just as weeks of violence set off by the burning of Muslim holy books at a U.S. base had started to die down. The burnings sparked violent protests and attacks that killed some 30 people. Six U.S. service members have been killed in attacks by their Afghan colleagues since the Qur'an burnings came to light. NATO officials apologized for Sunday's shootings but did not confirm that anyone was killed, referring instead to reports of deaths. Karzai said five people were wounded in the attack. "I wish to convey my profound regrets and dismay at the actions apparently taken by one coalition member in Kandahar province," said a statement from Lt.-Gen. Adrian Bradshaw, the deputy commander of NATO forces in Afghanistan. "One of our soldiers is reported to have killed and injured a number of civilians in villages adjacent to his base. I cannot explain the motivation behind such callous acts, but they were in no way part of authorized ISAF military activity," he said, using the abbreviation for NATO's International Security Assistance Force. An AP photographer saw 15 bodies between the two villages caught up in the shooting. Some of the bodies had been burned, while others were covered with blankets. A young boy partially wrapped in a blanket was in the back of a minibus, dried blood crusted on his face and pooled in his ear. His loose-fitting brown pants were partly burned, revealing a leg charred by fire. Villagers packed inside the minibus looked on with concern as a woman spoke to reporters. She pulled back a blanket to reveal the body of a smaller child wearing what appeared to be red pajamas. A third dead child lay amid a pile of green blankets in the bed of a truck. Afghan officials and residents said 16 people were killed, but there was no way to immediately reconcile the death tolls. NATO spokesman Justin Brockhoff said a U.S. service member had been detained at a NATO base as the alleged shooter. The casualties were evacuated to NATO medical facilities, he added. One U.S. official said the soldier, an Army staff sergeant, was believed to have acted alone and that initial reports indicated he returned to the base after the shooting and turned himself in. The suspect, from Joint Base Lewis-McChord, Wash., was assigned to support a special operations unit of either Green Berets or Navy SEALs engaged in a village stability operation, said a U.S. official, speaking on condition of anonymity because the investigation is still ongoing. Such operations are among NATO's best hopes for transitioning out of Afghanistan, pairing special operations troops with villagers chosen by village elders to become essentially a sanctioned, armed neighbourhood watch. The attack took place in two villages in the Panjwai district of southern Kandahar province. The villages — Balandi and Alkozai — are about 500 metres away from a U.S. base. The shootings started around 3 a.m., said Asadullah Khalid, the government representative for southern Afghanistan and a member of the delegation that went to investigate the incident. Some residents said they believed there were multiple attackers, given the carnage. "One man can't kill so many people. There must have been many people involved," said Bacha Agha of Balandi village. "If the government says this is just one person's act we will not accept it. … After killing those people they also burned the bodies." A resident of the village of Alkozai, Abdul Baqi, told the AP that, based on accounts of his neighbours, the American gunman went into three different houses and opened fire. "I offer my most sincere condolences to the families and loved ones of those who have needlessly lost their lives. Today's shooting of Afghan civilians is deplorable and runs contrary to everything that the international mission to Afghanistan aims to accomplish." "When it was happening in the middle of the night, we were inside our houses. I heard gunshots and then silence and then gunshots again," Baqi said. There was no immediate verification of his account. There were reports of protests in Panjwai following the shooting and the U.S. embassy warned travellers in Kandahar province to "exercise caution." International forces have fought for control of Panjwai for years as they've tried to subdue the Taliban in their rural strongholds. The Taliban movement started just to the north of Panjwai and the district was seen as key to securing Kandahar city to the east when U.S. forces flooded the province as part of President Barack Obama's strategy to surge into the south starting in 2009. Khalid, the government representative, said he had tallied 16 dead, a number that matched accounts from villagers. Twelve of the dead were from Balandi, said Samad Khan, a farmer who lost all 11 members of his family, including women and children. Khan was away from the village when the incident occurred and returned to find his family members shot and burned. One of his neighbours was also killed, he said. "This is an anti-human and anti-Islamic act," said Khan. "Nobody is allowed in any religion in the world to kill children and women." 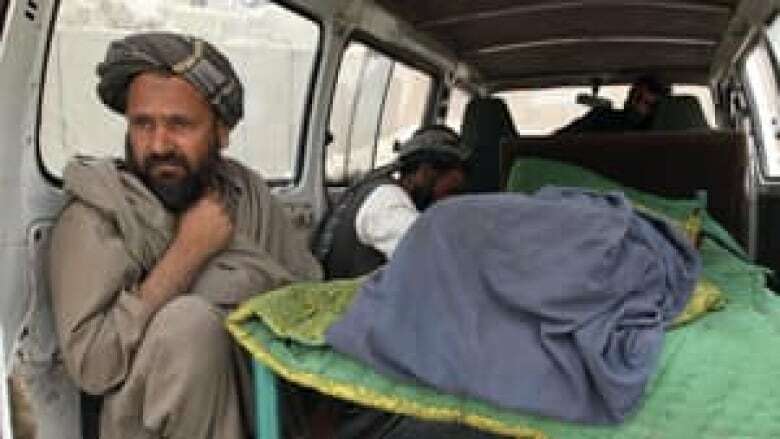 The Taliban called the shootings the latest sign that international forces are working against the Afghan people. "The so-called American peace keepers have once again quenched their thirst with the blood of innocent Afghan civilians in Kandahar province," The Taliban said in a statement posted on a website used by the insurgent group. Brian Stewart: Might peace break out in Afghanistan?